The Load cell Digitizing Module for the System80 is a complete weighing process controller with load cell amplifier for precise digital weighing, dosing or filling applications. 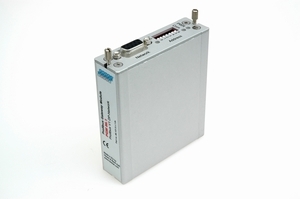 The LDM provides high speed digitizing, filtering and computing of a load cell signal for further processing. 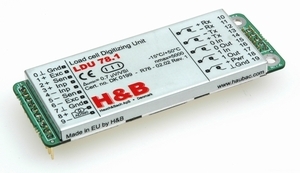 A built in PLC with four inputs and four outputs is included. LDU 68.1 provides digital data from weighing operations based on strain gauge load cells at a speed and precision suitable for most purposes. Logic operations can be controlled directly vie the dual logic inputs and outputs. The LDU’s are designed to be embedded into customer’s equipment, to be plugged into a Unit Adaptor or integrated with a hosting device. 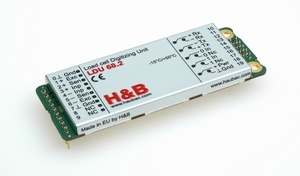 LDU 68.2 provides digital data from weighing operations based on strain gauge load cells. It is pin and protocol compatible with other members of the LDU family, (68.1/68.3/69.1/78.1), thus offering a selection of precision levels, functionality and cost. All LDU’s are designed to be embedded into customers’ equipment, to be plugged into a Unit Adaptor or integrated with a hosting device. The CAN-bus Gateway Module for the System 80 provides a robust solution for control and monitoring of up to 64 nodes of the System 80 backplane family. 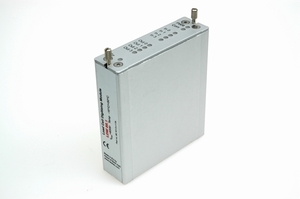 It provides System 80 with a industrial standard gateway for controlling the units in the weighing process system. The PROFIBUS Gateway Module for the System80 provides a robust solution for control and monitoring of up to 64 nodes of the System80 backplane family. 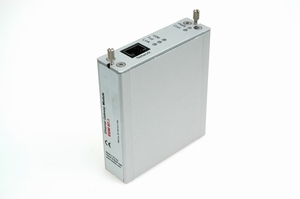 It provides System 80 with a industrial standard gateway for controlling the units in the weighing process system. 69.1), thus offering a selection of precision levels, functionality and cost. 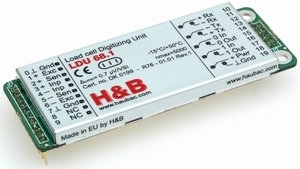 All LDU’s are designed to be embedded into customers’ equipment or to be plugged into a Unit Adaptor. 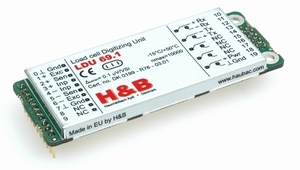 LDU 69.1 provides digital data from weighing operations based on strain gauge load cells. It is pin and protocol compatible with other members of the LDU family, (68.1/68.2/ 68.3/78.1), thus offering a selection of precision levels, functionality and cost.